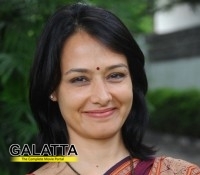 We had earlier reported that veteran actress Amala Akkineni is looking forward to her first Tamil serial Uyirmaei. This serial is a hospital based medical drama with Amala in the lead. Amala stated that she is regaining her Tamil speaking skills by watching many serials. To shoot for Uyirmaei, the entire cast had to undergo a 2 day workshop with real life doctors to get their roles and action right. The evergreen actress also added that she signed Uyirmaei only because of the script. The entire Akkineni family is eagerly waiting to see Amala on screen.